According to recent statistics, 25% of the population in the United States has high blood pressure, or more than 50 million people. The number is alarming, especially considering the fact that the symptoms for high blood pressure are not easily diagnosed, and hypertension has been classified as the silent killer. Cardiovascular diseases have been the No.1 cause of death in the United States in the past 10 years, and everyone is at risk. What can you do? Some home remedies for high blood pressure help, but you also must change your lifestyle and adjust your habits to the condition you are coping with. 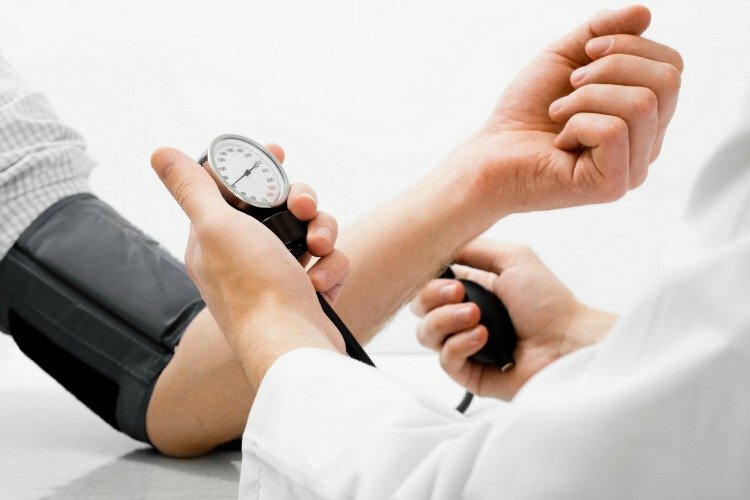 There are many causes of high blood pressure, but we’ll list some of the most common. The first is kidney fluid and salt balances, as your body is unable to balance your sodium levels. Another common cause of high blood pressure is the renin-angiotensin-aldosterone system. Increased activity in the system changes kidney function and activity, which again leads to imbalances. The sympathetic nervous system is another important factor in regulating blood pressure, and imbalances in the system can raise your blood pressure. Last, but not least, genetics and environmental causes (unhealthy lifestyle habits, medicines, obesity) also play a role. With that being said, let’s take a look at some home remedies for high blood pressure. Herbs are very effective in lowering blood pressure, and just a few leaves of basil per day can help in many ways. Only fresh basil leaves help, and you can grow your own basil in a small pot. Basil can be added to soups, salads, pastas and casseroles. Another spice that can enrich almost every meal, cinnamon helps with both high blood pressure and diabetes. Make sure to sprinkle some cinnamon on your breakfast oatmeal and cereal. You can also add cinnamon to your coffee, stews and curries. Speaking of spices you can add to your dinner, cardamom is an Indian spice that is often used in curries and soups. But you can also add some cardamom to pastries for a special flavor. Rich in omega-3 fatty acids, flaxseeds protect you from cardiovascular diseases by lowering bad cholesterol and regulating glucose levels. Flaxseeds are an extremely versatile food, as you can add them to smoothies, soups, stews and even baked goods. Flaxseeds can be stored in the freezer. Garlic is one of the best vegetables to lower blood pressure. The veggie also helps your blood vessels relax, allowing blood to flow more freely. If the garlic flavor is too strong and too much for you to handle, you can always roast it. Start by crushing the cardamom to release the oil, and then grind them. Add all the ingredients to a saucepan, minus the honey. Boil and then simmer for around 7 minutes. Aim for a rich, caramel brown color. At that point, pour the mixture into a mug with the honey and drink it up. One drink per day is enough. Simply boil the water and then add the hibiscus. Allow the hibiscus to steep for five minutes, and then add honey and lemon for taste. If you like, you can also add cinnamon sticks at the same time as the hibiscus for an even better effect. If you want to reduce blood pressure regularly in a simple and easy way, just drink one glass of coconut water two times per day. The ideal periods are in the morning and in the evening. Make sure to drink your morning glass on an empty stomach. Celery root and celery seed can both be used in stews, soups, casseroles and many other savory dishes. Celery is one of the most popular hypertension home remedies in China, with Western studies lately confirming its benefits. Heat a small saucepan on low heat and add the water and the herb. Bring the solution to a slow simmer, and then cover the saucepan. Allow the mixture to simmer for 40 minutes. During this time, you can add more water, depending on the concentration of the tea you are aiming for. At the end, strain, and add honey and lemon to the tea. Drink once per day. Watermelon is a strictly summer fruit, but once you can get your hands on it, embrace the opportunity. Two cups of watermelon in the morning on an empty stomach will do wonders for your high blood pressure, as you will widen your blood vessels and allow your blood to flow more smoothly. Boil the water and add the dried blueberries. Lower the heat and simmer until the liquid is reduced by half. Strain the solids out and press for extra juice. Pour the liquid back into the pot and then stir in the honey. Increase the heat if needed, and make sure the honey and the liquid blend into smooth syrup. If you want a thicker syrup, heat the solution to medium heat for 20 minutes. If not, you can skip this step. Once ready, the syrup can be stored in the fridge for three weeks. You need one tablespoon of the syrup per day. Potassium is one mineral you absolutely must get in high doses when you are diagnosed with high blood pressure. Potassium helps lower blood pressure, and when it comes to potassium, nothing beats potatoes. Sweet potatoes are a healthy side dish to almost any meal, so don’t ignore them. When consuming dark chocolate, pay attention to the label, as you want chocolate containing at least 70% cocoa. You can treat yourself to half an ounce of dark chocolate per day. Thanks to the flavanols in the chocolate, your blood vessels will become more elastic and allow blood to flow more smoothly. Lemon water in the morning is the best way to start the day, as you flush toxins out of your body and reduce your blood pressure. Because lemons are extremely rich in vitamin C, your heart health is improved. Make sure to drink the glass of water on an empty stomach. As mentioned, one way to get more potassium in your diet is by consuming potatoes. Another way, if you are more into fruits, is to eat two bananas per day. Consuming bananas will regulate your blood pressure. If you like other fruits, eat dried apricots, cantaloupe, raisins, and orange juice. Shed some pounds and pay attention to your waistline, as blood pressure increases with your weight. Aim to lose a few pounds to reduce your blood pressure. Paying attention to the waistline is equally important, as the risk increases for men when their waist measurement is greater than 40 inches. For women, the risk increase when their waist measurement is greater than 35 inches. Exercise regularly—at least 30 minutes per day can lower your blood pressure. Be consistent in your exercising, as your blood pressure will rise when you stop. Speaking of diet changes, reduce your sodium intake. Limit your sodium to a maximum of 2,300 mg per day. A healthy dose of sodium is considered around 1,500 mg per day. To decrease your sodium intake, don’t add salt to your diet and eat fewer processed foods. Limit the amount of alcohol you drink. A healthy dose of one glass per day can actually lower your blood pressure. However, if you are drinking more than moderate amounts of alcohol, your blood pressure increase. Quit smoking, as smoking is another habit you simply cannot afford with high blood pressure. The role of caffeine in regulating blood pressure is still debatable, but as a precautionary measurement, limit your caffeine intake to 200 mg per day (two cups of coffee or three cups of tea). Reduce your stress. It’s easier said than done, but consider the triggers of your stress and try to limit and/or avoid them. If you can’t eliminate stress from your life, find a way to cope with it. Exercise helps, for example. I found this information on Pinterest from ritely.com. Thank you for this fascinating and educational information. I can’t wait to share with my family and friends.